We now have 1 gallon all grain starter kits and refills available in IPA, pale ale, best bitter, dark english ale and old porter. 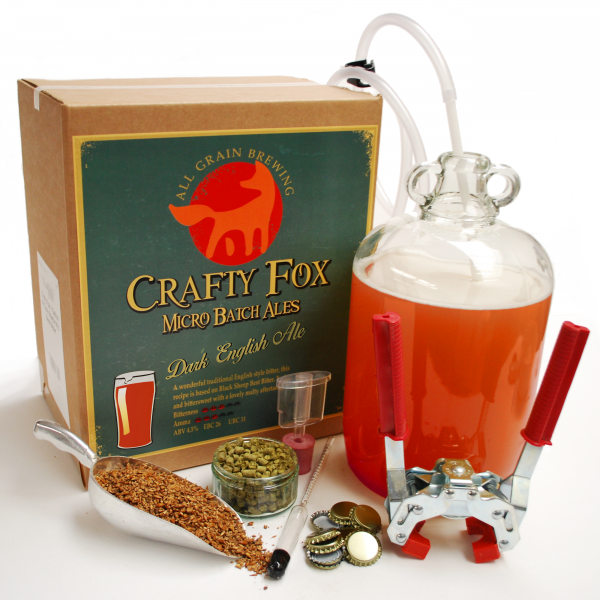 This new Crafty Fox range is exclusive to Home Brew Online is easy to make and produces great craft beer. Go on, get involved, you won't be disappointed!